Companies want to grow and evolve; that can feel daunting, especially when you consider the capital that may be involved. 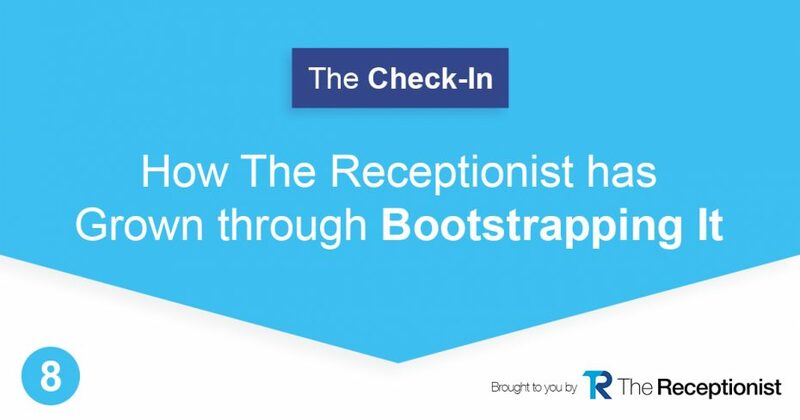 President and CEO of The Receptionist, Andy Alsop gives us an insider’s look at how The Receptionist has grown through bootstrapping it. Andy is no stranger to business and being an entrepreneur. He’s been with other companies where the goal was to gain interest from venture capitalists, and for many companies, that’s a proud moment when someone wants to invest a large amount of money in your company. But, with The Receptionist, Andy has had a different approach; he was fortunate to purchase the company when it was already cash positive, so while there has been some investment from himself, and angel investors to help push the company forward, the company has been bootstrapping it since Andy has been involved. Though he doesn’t knock anyone who’s pursuing venture capital, he also is aware that when you take that money, the focus of business can change. With that money comes answering to someone else, whose focus is making their money back, and then some. Instead, when you’re bootstrapping, taking small amounts of money from angel investors, or investing yourself, you can maintain the control: your culture, goals, vision, and plan can stay in tact. The culture of The Receptionist is something that Andy and his team have worked hard to cultivate, and he’s aware that taking money from venture capitalists could change that; fortunately, as a SAAS company, they also don’t need large amounts of money to move forward: if your company is aiming for large investments, that’s okay, but be aware of the impact. Andy is happy to give back! Along his journey as an entrepreneur, Andy has been fortunate to connect with others in business who have shared their knowledge and helped him along the way. He’s very thankful for that and reminds people that they can reach out with questions- find him on Twitter and ask him your questions!